We need a reform on ground Rents, Starting with backdating them, to 5 years ago, Then only allowing price rises, in line with inflation. Finally, No mortgage allowed on properties that have a Lease. A property Baron has made millions of pounds through ‘exploitative’ ground rent fees paid by up to 40,000 households, it has been revealed. 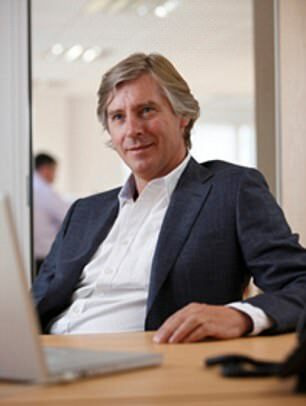 James Tuttiett, 53, has built a massive property empire of controversial freeholds, allowing him to charge homeowners for the land their house is built on. Companies House records show he controls 85 companies that own the lucrative freeholds of huge developments in Newcastle, Birmingham, Leeds, Coventry and London. He is often the sole director or employee of the firms. Leaseholders must pay ground rents to his company E&J Estates. Some rents double every ten years, meaning they will reach thousands of pounds a year in decades to come. The fee has already left some homeowners unable to sell their properties. Last week the Government proposed a ban on new-build leaseholds, saying that ground rents should be restricted to as little as zero. Launching an eight-week consultation, Communities Secretary Sajid Javid described the process as unjust. ‘It’s clear that far too many new houses are being built and sold as leasehold, exploiting home buyers. Enough is enough. These practices are unjust, unnecessary and need to stop,’ he said. He added ground rent had been used ‘as an unjustifiable way to print money’. Mr Tuttiett’s companies also own freeholds of schools, health clubs and petrol stations. In 2016 one of his firms, SF Funding, recorded an £80million increase in the value of its ground rents from the year before to £267.4million, according to the Guardian. Andrew Henderson bought his house in Blackburn from builders Taylor Wimpey six years ago only to discover that the developer then sold his freehold to E&J. He said: ‘We are currently paying around £145 every six months. Linda Barnes, who also pays ground rent, said residents of a development in Heywood, Greater Manchester, are in ‘sheer panic’ because they cannot sell their homes. E&J acquired the freeholds of the development soon after it was completed. In Ellesmere Port, Cheshire, Lindsay Lloyd said she was told that the freehold on her home would cost £2,635 to buy when the estate was first built. After it was sold to E&J, the cost rose to around £32,000. Taylor Wimpey has set up a £130million fund to help those trapped by spiralling ground rents that render their properties worthless. Little is known about Mr Tuttiett, who lives in a listed property surrounded by his own vineyard in Winchester. E&J Estates declined to comment.